HBC Children’s Ministry is committed to meeting both the spiritual and physical needs of children in the community by providing a safe, Christian learning environment where children can learn about the love of Christ. HBC Kids Activities–Wednesdays, 5:25 PM for ages preschool to 5th grade. 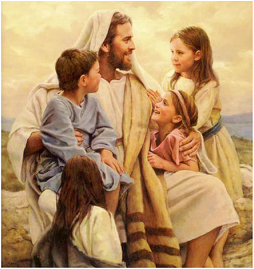 Children participate in Bible study, mission studies and are provided with supper at 5:00 PM. Sunday School – Sunday, 9:15 AM to 10:15 AM. Classes are available for all age groups. Transportation is provided through our van ministry. Vacation Bible School – A week-long event held each June. Children participate in Bible study, music and craft activities, organized play, and are provided with a meal. Transportation is provided through our van ministry. Annually happens in June. Crossings/Cedarmore Children's Camp, Bagdad, Ky - July 20-23, 2017 - Children's camp is for children in grade 3 thru grade 5 in the school year. For more information about the camp or to register, contact the church office. Easter Festival and Egg Hunt – Age groups for the Egg Hunt are Toddlers to 5th grade, please bring your own basket. More information closer to time. Activities will include: Egg Hunt, Face Painting, Prize Giveaways and More!!! Harvest Fest – Free to all children in the community on Halloween evening. The church provides a safe place to “trick or treat” along with games and activities. October 31st from 5-7. Back to School Bash- Activities, prizes and school supplies are provided. Christmas Party – Held in conjunction with our HBC Kids ministry. For more information about any of our children’s ministries, contact Hardinsburg Baptist Church at info@hardinsburgbc.org or call 270-756-5230.